There was a time in our lives when we didn't need to be politically correct, so we could say things as they were. The word cheap meant something that you could buy at a low price. 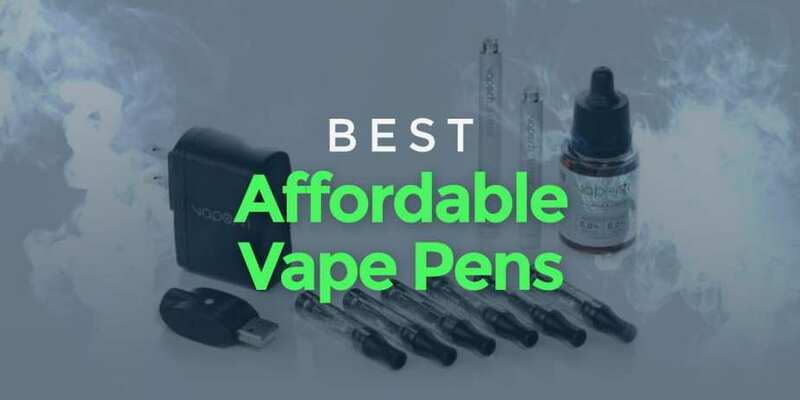 During those days, everybody went out looking for the cheapest version of the product they wanted, and the same can be said in vaping, so we've put together this list of the best cheap vape pen. I am one of those who would rather call things affordable than cheap. I think that the term affordable gives dignity to the product. More so if you are going to use the word best in the same sentence. However, even if I use the word cheap you should know that I actually mean it in a good way, as in affordable. I have spent a great deal of my time in the last few days combing the market looking for the best affordable vape pen. The five that I review below are the best I could lay my hands on. Since our idea in this article is to look specifically for products that are cheap, price was an important factor in determining the products that I would eventually include in this list. However, as I always indicate, we can't look at price alone as this would give us a distorted view. We want to compare apples to apples. So, we also look at the main features of each product. For example, a product could cost less because it also has fewer features and another one could cost a little more when it has double the features of the one that costs less. In my comparisons, I also look at the overall rating of each product. All ratings are between 1 and 5. 1 being very bad and 5 meaning that the product is almost perfect. To get to a rating for the product, I always try it first, get an idea of a rating I would give it based on my experience with it. Then I compare my rating with what others are giving for the same product. 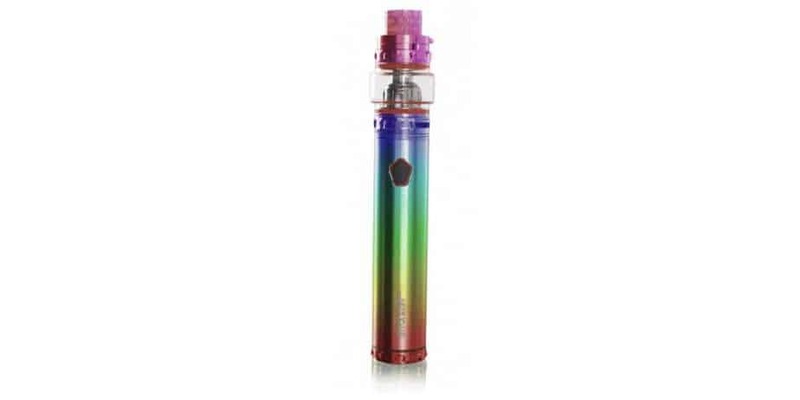 If you want an affordable vape pen that has excellent performance while keeping an affordable price tag, then the Aspire Tigon Kit is one to keep your eye on. This vape pen kit has an internal 2600mAh battery. To charge it, simply utilize the included micro USB charger. Furthermore, this device has a maximum wattage output of 28w. The Tigon Mod has a single fire button, located right on the front, so it’s easy to find. In addition, it can be turned on or off with a simple 5 clicks. An LED battery indicator light can be found right around the fire button, which lets you know your current battery life. Although the price is cheap, it doesn’t skip on any safety features as it does have quite a few built in. Aspire’s Tigon Sub Ohm Tank has an overall diameter of 24.5mm and holds a maximum e-juice capacity of 3.5ml. Filling it is a breeze as it can be done using the sliding top fill design. Not to mention, this top fill system has a child proof lock. Included in the kit, you’ll find 2 replacement coil heads. One coil with a 0.4 ohm resistance catered to direct lung vaping, while the other is 1.2 ohm and catered to MTL vaping. Overall, this is one of the best cheap vape pens on the market today for various reasons. First off, it is quite easy to use and houses a large internal battery while keeping it slim. Secondly, the include tank and coils provide stellar flavor. Lastly, the sheer amount of safety features built in, keeping both you, and your mod safe and sound. Vandy Vape is a company that made a name for itself a couple years back with their squonk mods. 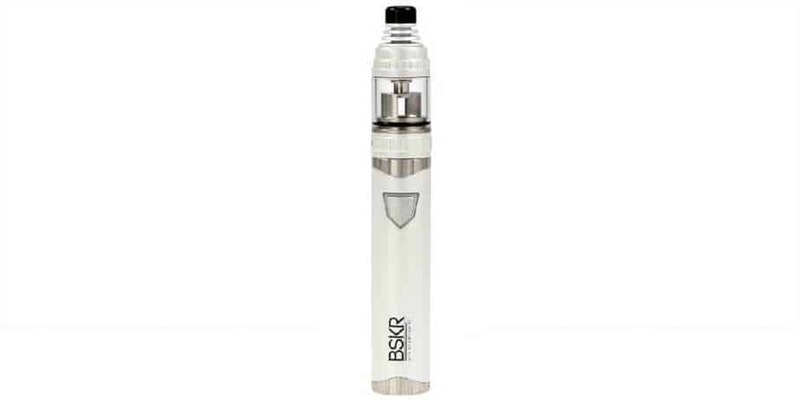 Included in this kit, you do receive the Berserker Mod alongside the Berserker MTL tank. The Berserker device sports a super slim form factor yet is durable due to its construction. Since it’s compact, it does offer the vaper a built in 1100mAh battery, that can be recharged using a USB cable. In addition, it has a maximum wattage output of 10w, which is ideal for mouth to lung vaping. Like most other vape pens, it has a single button operation, and can be completely turned off with 5 clicks. The Berserker MTL Tank has an overall diameter of 19mm, matching the pen perfectly. 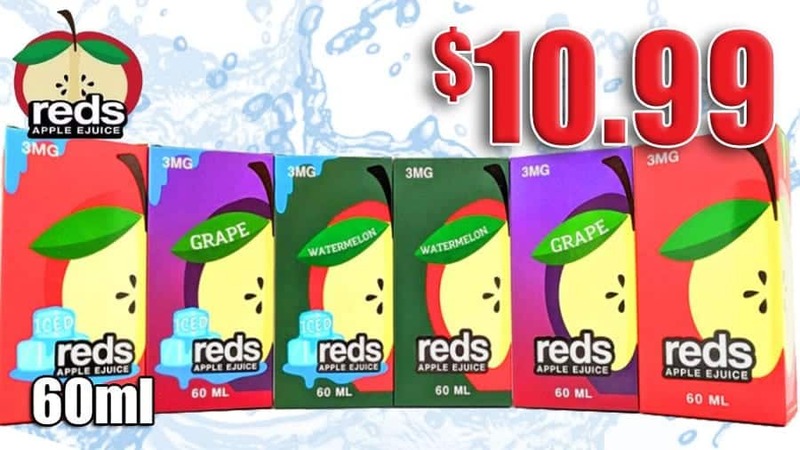 Furthermore, it is designed for mouth to lung vaping, and can be used with regular or nic salt e-juices. Inside of the package, you’ll find two replacement coil heads. One coil head has a 1.5 ohm resistance while the other 1.8 ohm. Although this tank is small, it still manages to house 2ml or 3.5ml of e-liquid. Airflow comes in from the bottom, and it is fully adjustable. Overall, the Vandy Vape Berserker MTL Kit is an excellent choice for both the beginner and advanced vaper. We’d definitely say it’s a solid option for those looking for a vape to quit smoking as well since it’s designed for MTL vaping. It’s nice and restrictive, and has earned a spot as one of our personal favorite cheap vape pens. The Smok Stick Prince Baby is one of the best cheap vape pens for chucking huge clouds. It comes with the Smok Prince Baby Tank, and this entire lineup of atomizers are known as some of the best sub ohm tanks. At the widest point it has a 26mm diameter, and it holds a maximum e-juice capacity of 4.5ml. You can easily fill this tank using the rotating top fill method. Not to mention, it has two huge slots at the bottom, giving you plenty of airflow for huge plumes of vapor. What's even better is that it is fully adjustable, so you can get the exact draw you desire. With a fully charged battery it provides a full 4.2v. As the battery depletes, it’ll provide a minimum of 3.4v. Just like the original version, it shares a large hexagonal firing button with the LED battery indicator light around it. This full kit includes two replacement coil heads which are the 0.15ohm V8 Baby Mesh Coil, and the 0.25 ohm V8 Baby M-2 Coil. Like most tanks, it’s constructed completely out of stainless steel and glass. A wide bore resin drip tip is included, which not only looks good, but is heat resistant too! There are multiple safety features built in such as Low Resistance, Short Circuit and a few more. If you’re looking for cheap vape pen for cloud chasing, then this is it. There’s many reasons as to why many vapers love the Smok Stick series, but this one is our top pick due to the included mesh coil. For the money, it’s hard to beat. We do recommend picking up some cheap e-juice as this tank loves to guzzle. Another great cheap vape pen to consider is the Digiflavor Helix Kit. Included, you do receive the Helix Mod and Disposable Sub Ohm Tank. This atomizer holds a maximum of 4ml and has a top fill design. Once the coil has been used for some time, simply dispose of it, and install a brand new tank. These disposable tanks are quite cheap as well! The Digiflavor Helix Device is powered by a single 18650 battery. So unlike many other vape pens, this one you can change out the external battery when needed. In addition, there are 3 different user modes you choose from. The modes are 3.2v, 3.4v and Bypass, catering to various vaping styles. Digiflavor’s Helix is primarily constructed of ABS, so it’s both lightweight and durable. What makes this device stand out from the sea of vape pens is the overall design. It features a unique twisting found across the body of the device. In addition, there are 3 LED battery indicator lights, alerting you of current battery state. Its diamond shaped firing button can be used to vape alongside swapping between the various output modes. All in all, the Digiflavor Helix Starter Kit is a great choice if you prefer an external battery. Also, it has 3 different firing modes, which is not something common among cheap vape pens. You can find this starter kit at many online vape stores. 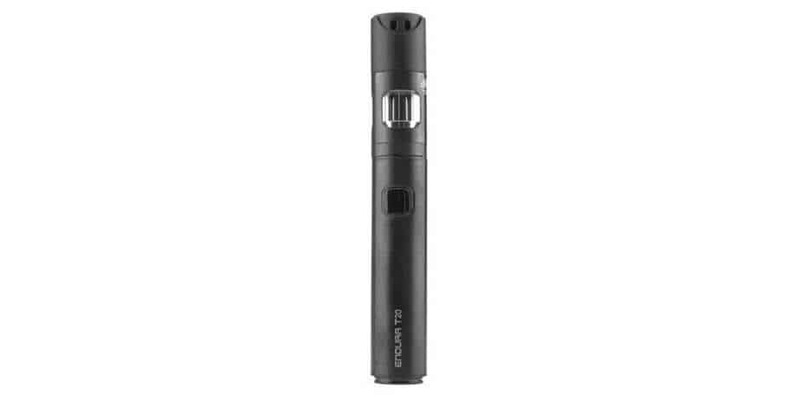 Innokin’s Endura T20 Kit is an ultra portable cheap vape pen coming in at about 17 inches tall. 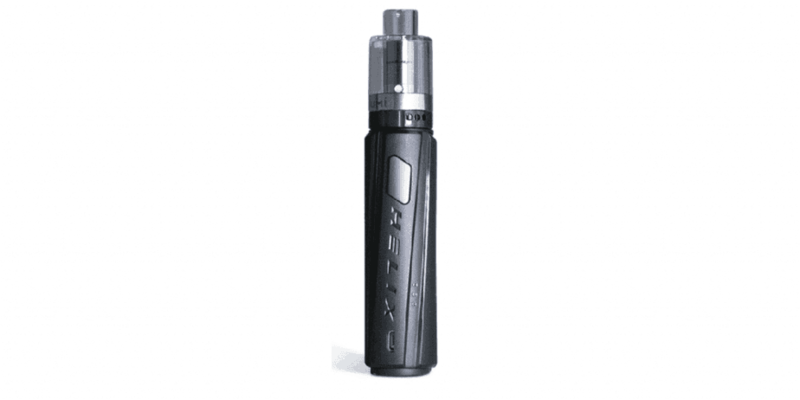 This kit includes both the Endura T20 Mod and Prism T20 Sub Ohm Tank. Battery capacity of this one is 1,500mAh, which is quite impressive given its overall size. Charging can be done quite easily with a USB cable. The Endura T20 Mod does feature a simple single button operation. One button can be used to vape alongside turning it on or off with 5 clicks. It’s powered by the Innokin A1 Chipset, which provides the user with 13w. An LED battery light indicator can be found around the firing button. Also, it’ll glow three different colors which notify you of the current battery life. This vape tank isn’t the largest, but it does hold a respectable amount of e-liquid, 2ml to be exact. A great addition to this kit is the protective cap on the drip tip. It helps prevent dust, dirt and other particles from getting in your e-liquid. Included, you do receive one Innokin Endura T20 1.5 ohm replacement coil head. Now a standout feature is the Prism Airflow Technology, allowing for a smooth and comfortable draw. Overall, the Innokin Endura T20 Kit is an amazing little device that’s a serious bang for your buck. The form factor of this entire kit makes it great for traveling with. Not to mention, the included Prism coil gives some of the best flavor when it comes to MTL vaping. Well, I know this has been a mouthful but today I was in the mood to do a thorough job of doing these best cheap vape pen reviews. I am sure that if you are in the market for a pen that will not leave a deep hole in your pocket, you are now in a position where your choice has narrowed down to the five best products you can find in this class. Now if you're looking for an alternative option or other vaporizers, be sure to check out our top choices for best dry herb vape pens. The one thing I like about all the five products that I have featured in this review is that each one is designed with a certain vaper in mind. 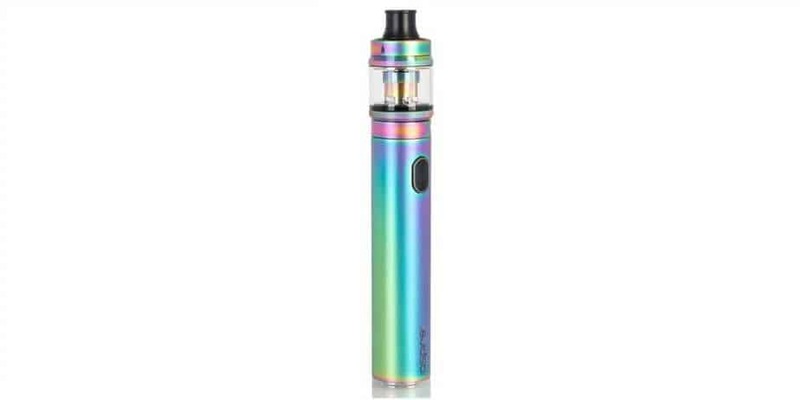 Just check out the features and the rainbow colors most of the units come with. You will get one that speaks to your character. If not, do not fret, visit our article of best vape pens to get more affordable options in terms of quality and performance for a great price.